Digimouse is a popular mouse atlas (Dogdas2007). 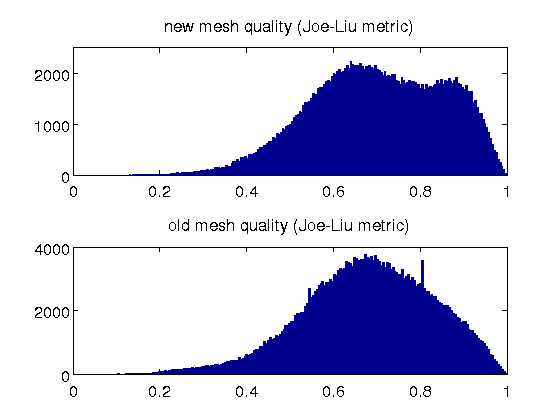 FEM mesh Version 1 was created by Qianqian Fang using iso2mesh (Fang2009) version 1.0 and CGAL (CGAL2009). 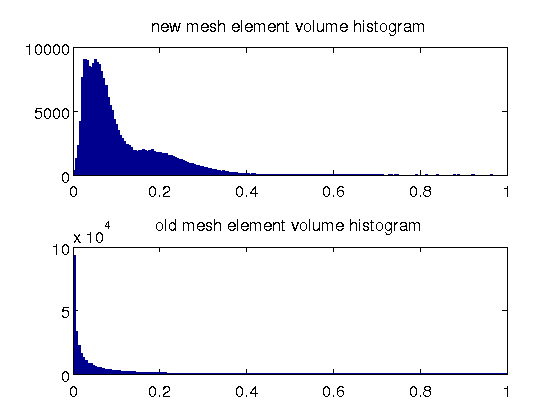 The full description of this mesh model can be found in (Fang2012). If you use this mesh in your research, please cite the above paper in your related publications. The low-resolution mesh, (1L), has 42301 nodes, 210161 tetrahedral elements, 149158 triangular surface elements and 21 tissue segmentations. The optical properties of different tissue types are listed below. The values are largely based on two papers: (Cheong1990) and (Strangman2003). Please see the notes in the table below. A matlab/octave script, digimouse_mesh.m, is provided in the downloaded mesh package to allow you to recreate this mesh. In addition, you also need to download the segmented Digimouse atlas Analyze data from it's website and saved in the same folder as the script. You also to download and configure iso2mesh 1.0 or above to run this script. [Fang2009] Q. Fang and D. Boas, “Tetrahedral mesh generation from volumetric binary and gray-scale images,” Proceedings of IEEE International Symposium on Biomedical Imaging 2009, 1142–1145 (2009). [Cheong1990] W. F. Cheong, S. A. Prahl, and A. J. Welch, "A Review of the Optical Properties of Biological Tissues," IEEE J. Quantum Electronics, 26, 2166-2185, 1990.